First one of its kind and many to come. 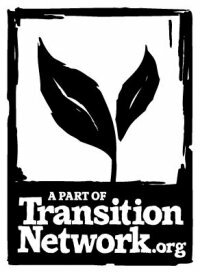 The idea behind the Transition Drinks was to create a space for local people to come together in an informal setting and chat about local groups and projects working on sustainability issues in Southend-on-Sea. A member of the public, Friends of the Earth, Transition Westcliff, Milton Community Partnership, local horticulture teacher starting organic seminars and Emerge – a local art group working within the community to increase awareness of the environment. I felt The Cricketers was a good choice of venue as it is on a main road, recognizable to local people, clean, the volume of music just right to have a conversation and offers a selection of regional ales. We chatted about all sorts of matters – some of it was informative like what the groups are doing and planning to do in the future, some of it was informal with laughs and getting to know each other and some resulted in beneficial networking like which hall to use for meetings, where to print posters and how to go about other activities connected to organizing and activism. 26 Feb 2009, 19:00 onwards. Cricketers Pub, crossroads of Milton Rd and London Rd, Westcliff-on-Sea (map) Transition Drinks, Transition Chat – a chance to meet for an informal chat about Transition Town Westcliff and green organizations and projects in Southend-on-Sea.